Welcome to our brilliant new collection of number fill puzzles! 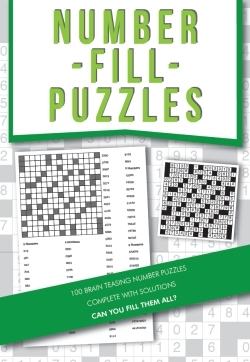 Inside this book is a fantastic collection of addictive and brain-teasing number puzzles. 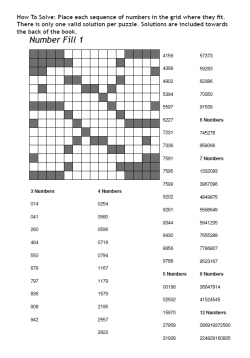 Much like letter kriss kross, or number kriss kross, these puzzles require you to fill the grid with the number sequences given. If you're looking for a puzzle type to test your memory, concentration, brain power and solving ability then look no further!